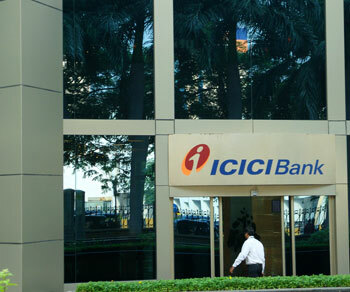 Stock market analyst Rahul Mohinder has maintained sell rating on ICICI Bank Limited stock with a near-term target of Rs 1110-1100. The interested investors can sell the stock with a stop loss above Rs 1170. It's better to sell the stock at this time as there are chances of decline in the coming days. The interested investors can buy the stock again on declines to reap gains in medium and long term. Today, the stock of the bank opened at Rs 1158 on the Bombay Stock Exchange (BSE). The share price has seen a 52-week high of Rs 1277 and a low of Rs 780 on BSE. Current EPS & P/E ratio stood at 38.06 and 30.65 respectively. The country's biggest private sector banking institution, ICICI Bank has rolled out a new facility named `Fixed Rupee`, which helps NRIs to transfer the exact Rupee amount payment to their home country (India) since the rate of exchange is corroborated at the time of starting the remittance. Moreover, ICICI Bank is eyeing credit growth of 18% during the existing financial year as against a meager 1.8% growth during the first half, largely because of cheerful corporate as well as retail businesses. It must be remembered that the bank had recorded a 19% increase in its net profit, which stood at Rs 1,236.27 crore in the second quarter. The bank's assets increased just 1.8% in Jan to June period of 2010-11.